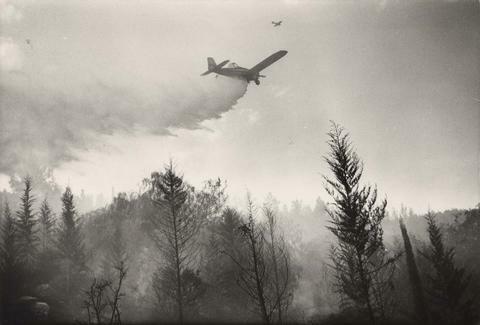 Photograph depicts water bomber dropping load (possibly water or flame retardant) on a forest fire. Written on verso: "File: JNF fighting forest fires in Israel. 1988/89."